The Institute adopts continuous evaluation methodology in all courses with the adoption of “interactive learning approach”. In addition to regular paper exam, projects and discussions also form a part of continuous evaluation. 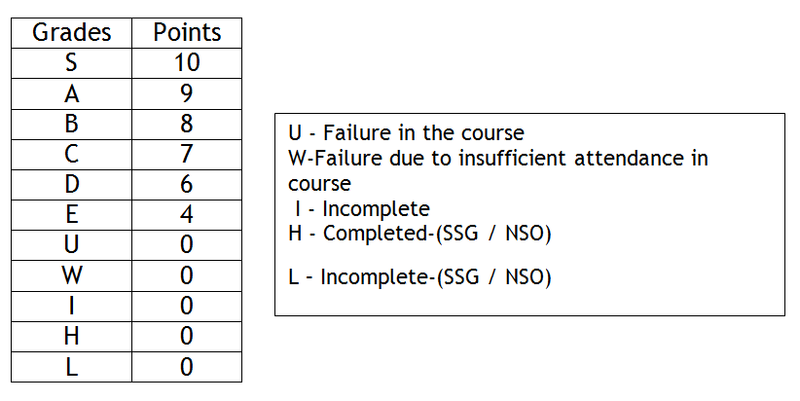 where Ci - Credit of the course, GP - grade point of the course and, i - total number of registered courses in the semester including those in which the student obtained ‘U’ and ‘W’ grades but not cleared. Cumulative Grade Point Average at the scale of 10 (CGPA) would be the GPA of all courses calculated on a cumulative basis till the current semester. IIITDM Kancheepuram is a residential Institute and students are expected to maintain 100% attendance in all the courses that they have registered. A minimum of 85% attendance is required in each course to appear for the end semester examination. 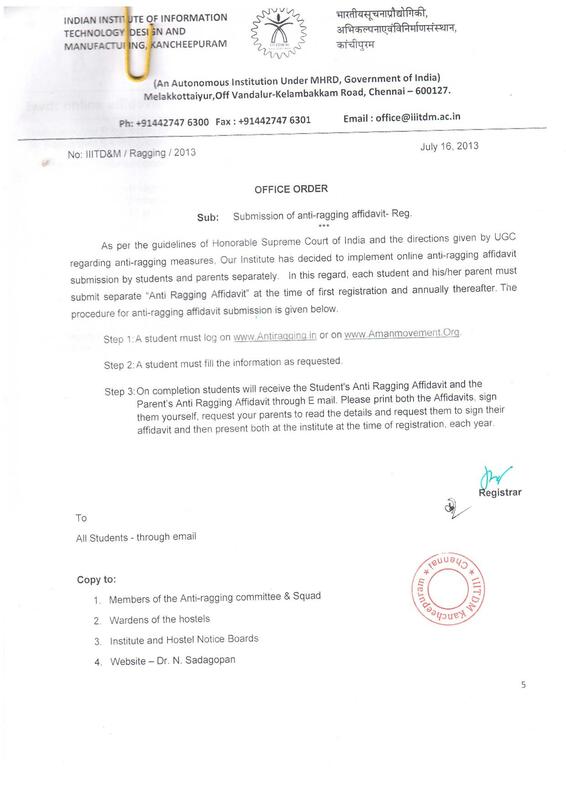 Students failing in the attendance criterion will be awarded W grade in the respective course and have to repeat the course when it is offered next time.